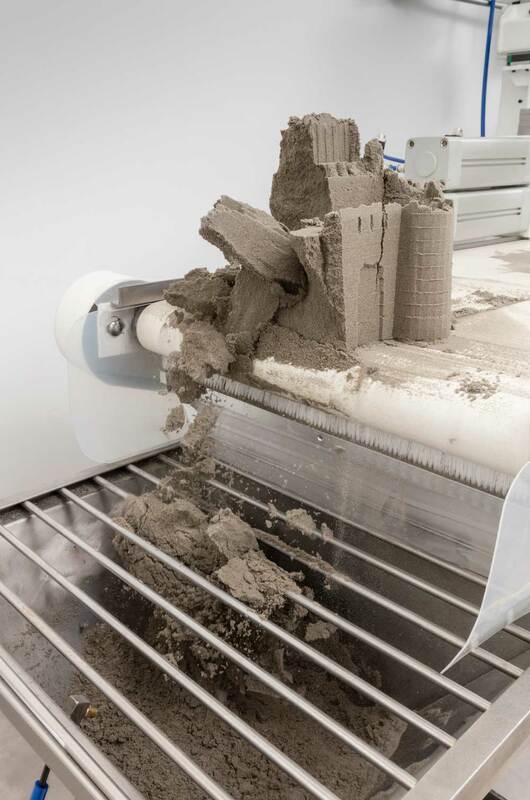 Castles Made of Sand is a site-specific installation conceived to be temporarily installed in a small office space near the top of a skyscraper in downtown Toronto. 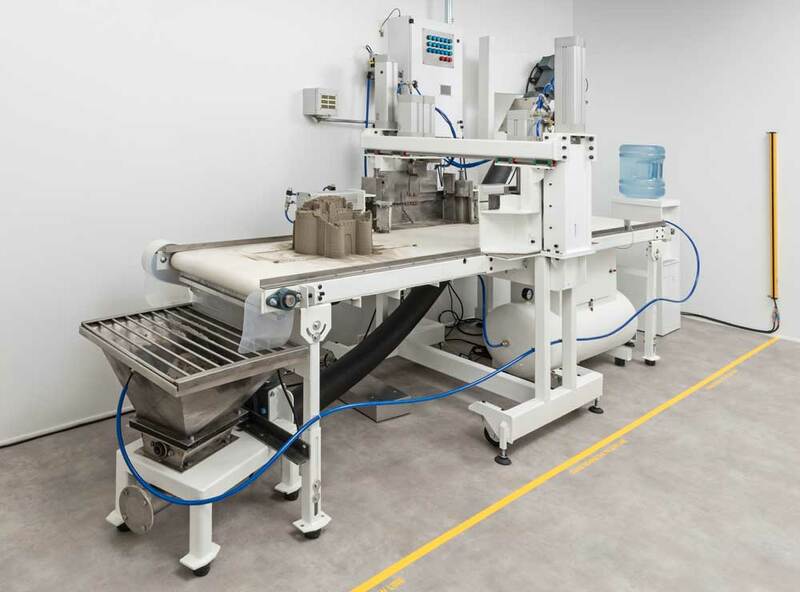 The installation can be described as a production line that casts sand castles, dispatches them for a journey on a convoyer belt, and eventually sends them to crumble. The sand is then recuperated and recycled and a new castle created. The construction and destruction of the castle follows the position of the moon in the sky, which influences the tides on earth. These astronomical phenomena trigger the cycle and the passerby can witness the rise and fall of castles – ephemeral architectures that drift past the windows and topple down in front of the city skyline. The machine operates at a very slow pace. By decelerating the mechanical process the piece produces a contemplative experience in which the frail fortresses expose their temporal existence and their vulnerability, but also enable a recurrent new beginning. All content © Michel de Broin, unless otherwise noted.